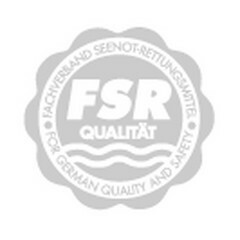 English | Fachverband Seenot-Rettungsmittel e. V.
Welcome To the official FSR website! The FSR is an association of manufacturers and importers of life-saving and rescue equipment for ocean shipping, inland waters shipping and leisure shipping. As a result of the experience gathered over decades and the knowledge acquired over the years, a committee with highly specialized expertise has thus come together. Above all in the area of leisure shipping, the demands which have to be made on products today as regards quality and safety are often unknown and unclear. To be at one’s disposal for answering all questions regarding life-saving and rescue equipment. To assist other committees in answering questions on criteria for quality and safety so that actions can be carried out in accordance with the latest state of technology. To make sure that all member companies using a voluntary self-test comply with the highest standards regarding requirements on quality and safety as far as the production and sales of life-saving and rescue equipment is concerned. The basis of the product requirements regarding quality and safety are the valid national and international standards (DIN, EN, ISO etc. ), certification by occupational insurance and health associations or Federal Authorities. As a result of this, products of the FSR member companies which comply with the highest demands on quality and safety receive a quality sign. You can recognize at once from the FSR quality sign that you have chosen a top quality product. A soothing thought, for you must be able to rely on your rescue aid in a serious situation.